Its musical allusions and triumph over heartache filled both our reviewers with joy' Stylist 'Full of hope and charm' Libby Page, author of The Lido 'A hymn to friendship, to getting back up and finding happiness where none seemed possible' Katie Fforde `An indulgently emotional and beautifully written story about new starts' Daily MailThe Truths and Triumphs of Grace Atherton is the story of a woman who has her heart broken, but then puts it back together again in the most uplifting and exquisite way. 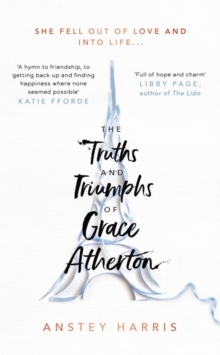 Between the simple melody of running her violin shop and the full-blown orchestra of her romantic interludes in Paris with David, her devoted partner of eight years, Grace Atherton has always set her life to music. 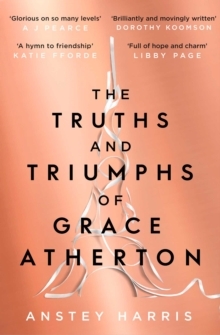 Her world revolves entirely around David, for Grace's own secrets have kept everyone else at bay. Until, suddenly and shockingly, one act tips Grace's life upside down, and the music seems to stop. It takes a vivacious old man and a straight-talking teenager to kickstart a new chapter for Grace. In the process, she learns that she is not as alone in the world as she had once thought, that no mistake is insurmountable, and that the quiet moments in life can be something to shout about ... 'Brilliantly and movingly written' Dorothy Koomson 'This is a powerful and passionate novel, awash with heartbreak but still an uplifting tale of friendship and rebirth. Filled with characters that are fully formed and believable, this book is astute, compelling and extremely readable. Five stars' Daily Express 'It's easy to jump to comparisons with Eleanor Oliphant is Completely Fine and this is certainly in the same "up lit" camp... ' The i 'A beautifully tender portrait of the complexity of love, the depths of loneliness and the healing power of friendship' heat 'A gorgeously written, heartfelt tale about love and loss' Good Housekeeping 'An impressively powerful debut' Claire Frost, Fabulous Magazine 'As elegant and uplifting as a classical sonata, with added kick from its unforgettably quirky characters. I was both engrossed in and moved by this fabulous debut' Catherine Isaac, author of R&J Book Club pick You Me Everything 'A moving, beautifully written, uplifting debut about mending broken hearts through friendship. The twists and turns make it impossible to put down' Sarah J. The characters are diverse, the setting beautiful and the subject matter unique' Fabulous Book Fiend 'An absolutely beautiful read' Heidi Swain 'I adored this book! Exquisitely crafted, it's a compassionate, heart-wrenching and ultimately uplifting tale of Grace and David's complicated love that will keep you turning the pages.